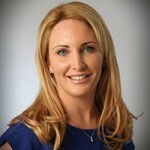 Frances Furlong qualified as a Registered Adult Nurse in 1999 from St Bartholomew’s Hospital, London specialising in acute medicine within the NHS at The Royal London Hospital. After 3 years she then moved into laser ophthalmology and became nursing sister responsible for 3 clinics in the south of England. This then inspired her to move into laser dermatology and aesthetics, where she worked in different locations in Harley St thus enabling her to become a specialist in laser and light treatments gaining her Diploma in 2006. She worked in the city as registered manager for non-surgical treatments from 2004 -2009. In 2004 she was awarded an honours degree in aesthetic medicine from the University of Greenwich with a keen interest in acne management. Frances is highly experienced in Botulinum Toxin type a, dermal and volumising fillers, skin peels, microdermabrasion, mesotherapy, Derma Roller, laser and light therapy. Since 2005 Frances has written for national newspapers with her own weekly advice column, ‘ask the expert’, for The Daily Star and she has also written for numerous publications such as Elle, Woman and Home, Top Sante and appeared on GMTV demonstrating the use of mesotherapy. In April 2010 Frances joined Cosmetic Healthcare solutions as co-director and further established clinics in London and Essex, and gaining much press and publicity for the company. The client base and reputation Frances has built within the industry has made her a growing success. In March 2011 Frances decided to develop her own company Perfect Skin. Frances qualified from the University of Essex as an independent nurse prescriber in April 2010 and is a member of the Royal College of Nursing as well as the British Association of Cosmetic Nurses. In Feb 2011 she spoke at Professional Beauty at the Excel Centre with regards to a new exciting concept – the 8 week non-surgical face lift. She was asked to attend the Instyle magazine beauty awards as a guest judge at the Mandarin Oriental hotel in Feb 2011. 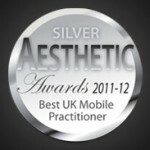 Frances came runner up in the November 2011- 2012 first ever Aesthetic Awards, sponsored by Cosmetic News, My Face My Body, and Qmed the leaders in facial fillers. Although an experienced Nurse Consultant for over 14 years, Frances was a newcomer to the best Cosmetic award mobile practitioner category as she took the plunge 2 years ago after leaving Harley Street and the city. With 176 practitioners nominated, Frances got to the final four and then took second place. It was voted for by the readers of Cosmetic News, My Face My Body, her own clients and other professionals and peers in the industry, also a mystery shopper visited Frances for a treatment at the Chigwell, Essex branch Smile Design by Ash. The evening was held at Sopwell House, Hertfordshire and the theme was a glitzy James Bond gala dinner, Frances would like to thank everyone who supported her for their loyalty.